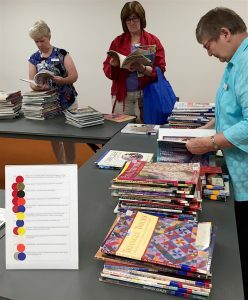 Waverley Patchworkers have a large collection of books and magazines available to members. 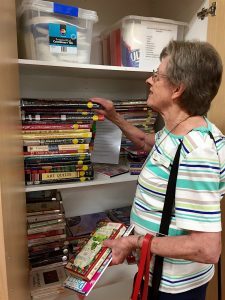 They are stored at Mount Waverley Community Centre in two large cupboards and the library is open for borrowing from 7.00pm to 7.45 before the Monday Monthly Meeting. To plan your visit you can browse or download the catalogue here. The lists are sorted three ways to make it easier for you to find just what you want. Magazines are listed by issue. Books are organised into categories and these are shown by coloured stickers on the spines. At borrowing time books are piled on tables in their categories. Some stay on the shelves where they can be easily accessed. 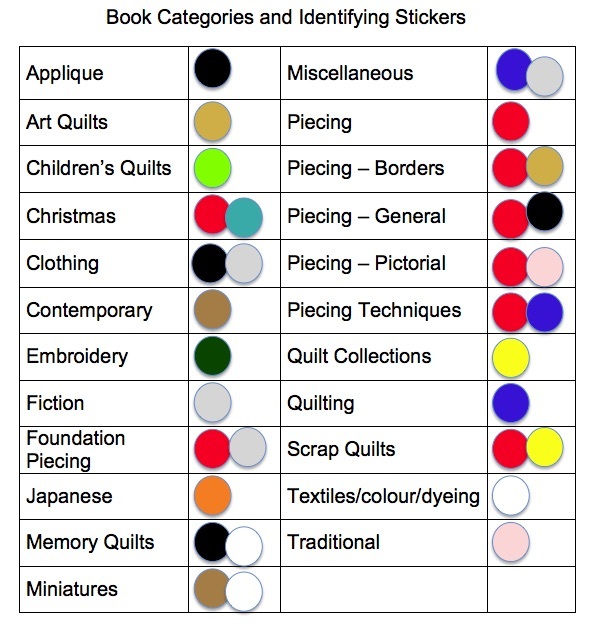 We also have a collection of novels with a quilting theme and videos covering all sorts of techniques. Loans are for one month, meeting to meeting, but renewal is possible unless a request has been made for the book or magazine. 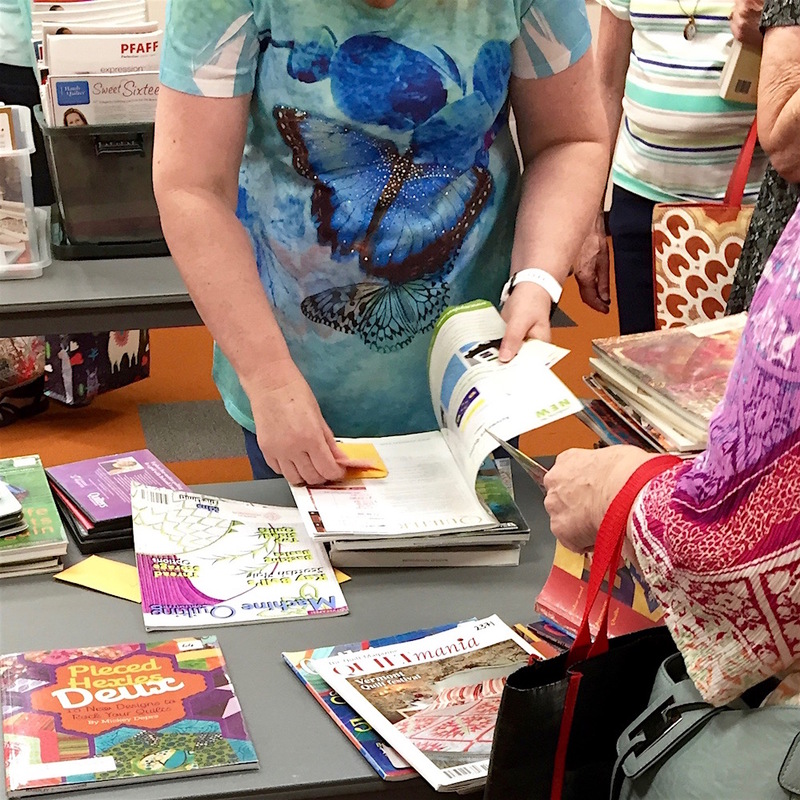 It is so easy to borrow, just get your member envelope from one of the helpers, put in the card from each item and stamp the return date. Your envelope then goes back to the desk. It is a good idea to have a library bag so your loan items do not get mixed up with your personal collection. 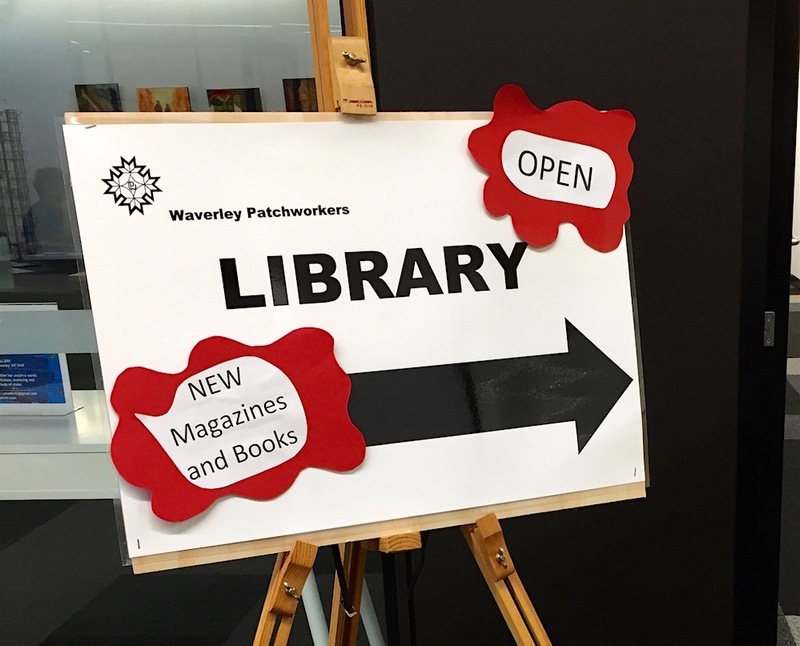 If you have any questions of the Library Coordinator, Wendy Cameron, her contact details are published in the Newsletter.